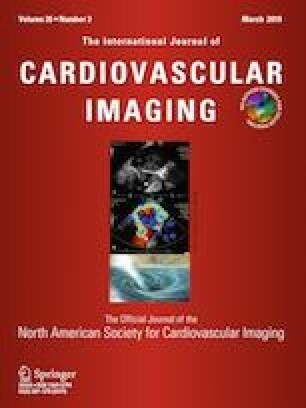 Right ventricular (RV) impairment after cancer therapy-related cardiotoxicity and its prognostic implications in lung cancer have not been examined. The present research sought to evaluate RV structure, function, and mechanics in stage III non-small-cell lung cancer (NSCLC) before and after concurrent chemoradiotherapy (CCRT), and to explore the associations between RV impairments, radiation dose, and all-cause mortality. This prospective investigation included 128 inoperable NSCLC patients who were scheduled to receive CCRT. Echocardiographic examination and strain evaluation was performed at baseline and 6 months post-CCRT in all participants. Conventional RV dimensions revealed no significant changes post-CCRT. However, a reduction in RV free wall strain (RV-fwLS) was observed at 6 months post-CCRT (− 28.3 ± 4.6% vs. − 25.5 ± 4.8%, P < 0.001). The same was revealed for global RV longitudinal strain (RV-GLS) (− 23.4 ± 2.9% vs. − 20.2 ± 3.4%, P < 0.001). Pearson correlation showed that RV radiation mean dose was related with the percentage change in RV-fwLS (r = 0.303, P = 0.001) and RV-GLS (r = 0.284, P = 0.002). In multivariable analysis, the percentage change in RV-fwLS was an independent predictor of all-cause mortality (HR 1.296, 95% CI 1.202–1.428, P < 0.001). RV longitudinal strain is deteriorated at 6 months post-CCRT. The RV mechanics deterioration was associated with radiation dose and affected the long-term outcome of stage III NSCLC patients treated with CCRT. Lu Chen and Jinjuan Huang have contributed equally to this work. This work was supported by the Shanghai Charity Cancer Research Center [Grant No. SCCRC17004].